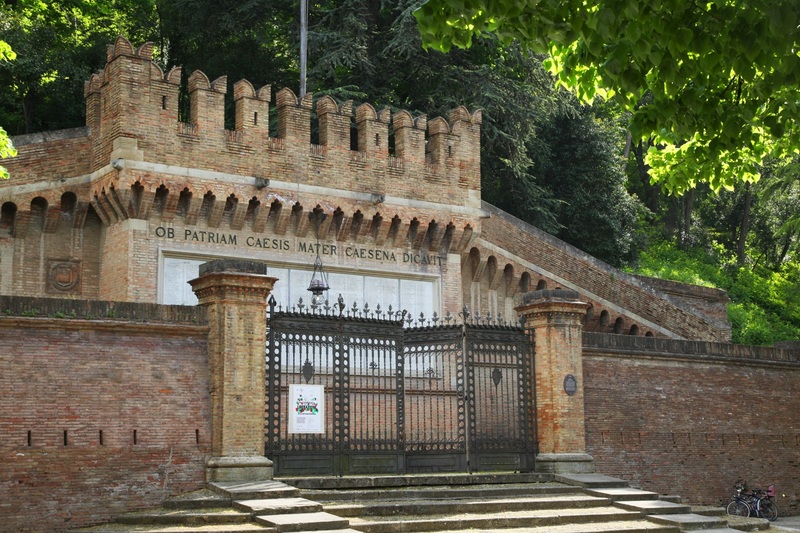 Located between the mountains of the Apennines and the Adriatic Sea, the province of Forlì-Cesena is particularly appreciated because, as Pietro Gallina (former mayor of Cesena) said, "the tourist can wander from the sea to the mountain, from the spa to city of art in the blink of an eye, everything is there at your fingertips". 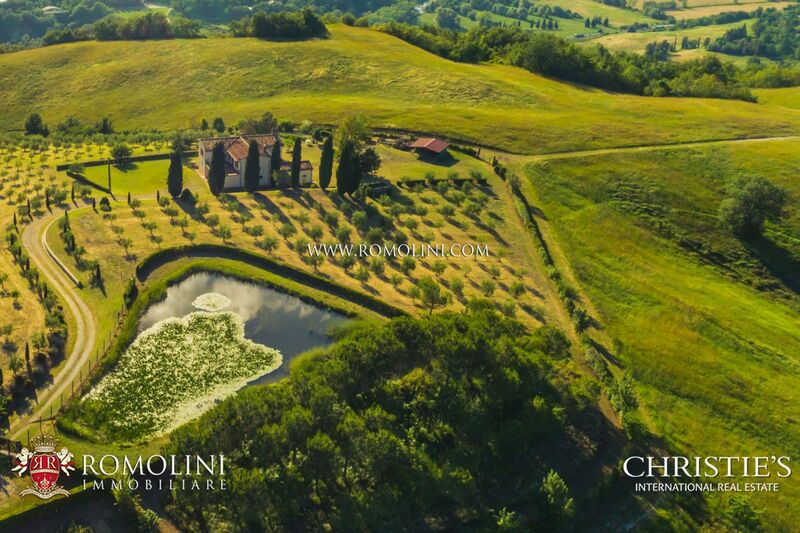 The territory is dotted with cities of considerable historical and artistic interest and each of them has something unique to offer: we remember the Rocca Malatestiana (Cesena), the Rocca di Ravaldino (Forlì), the Abbey of Santa Maria del Monte (Cesena) and the Basilica of San Rufillo (Forlimpopoli). 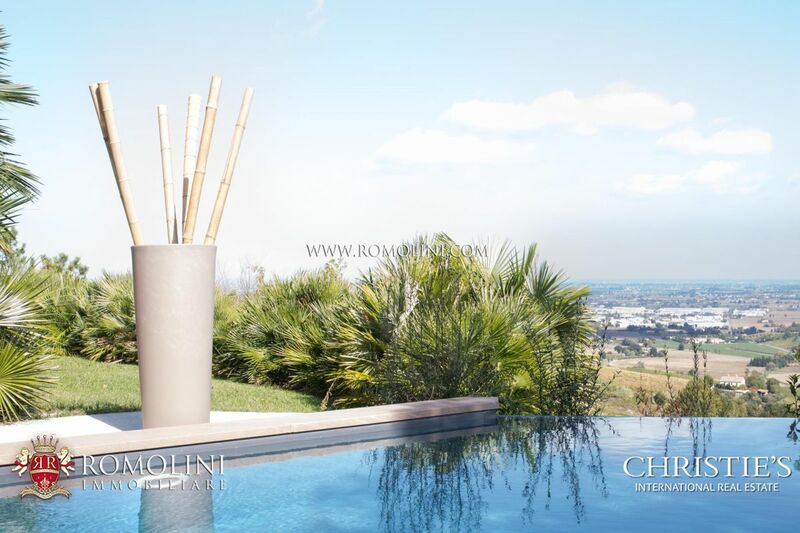 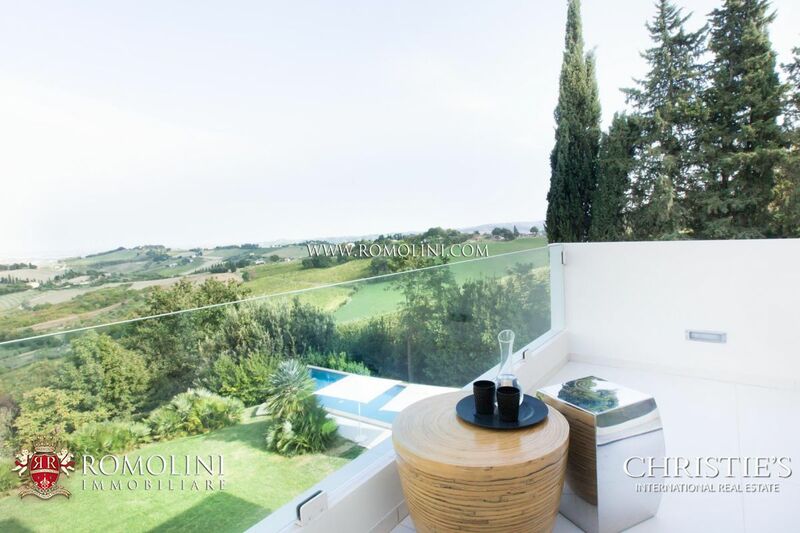 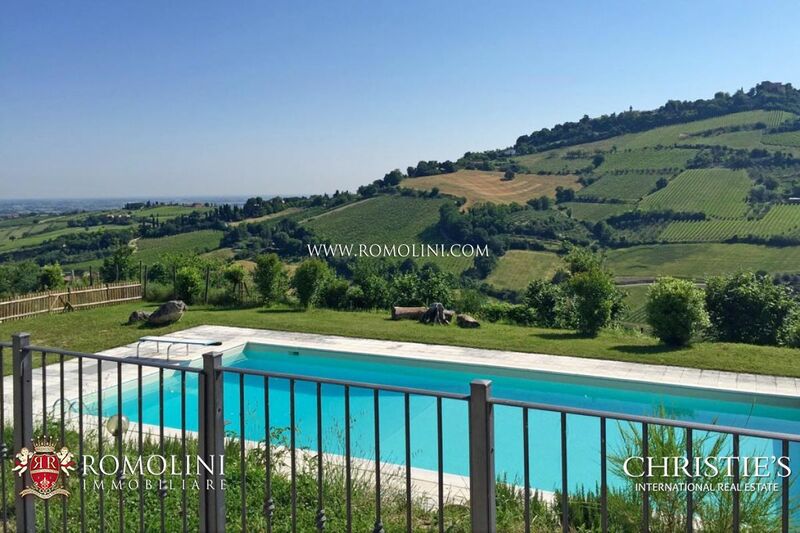 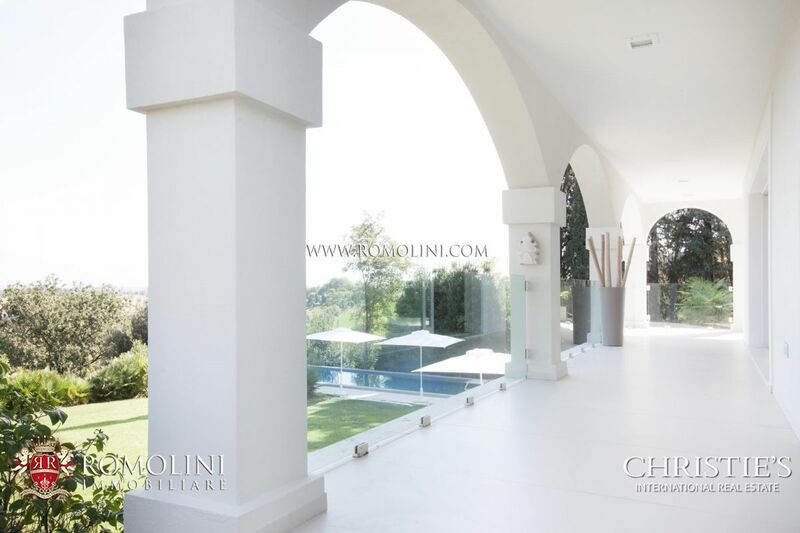 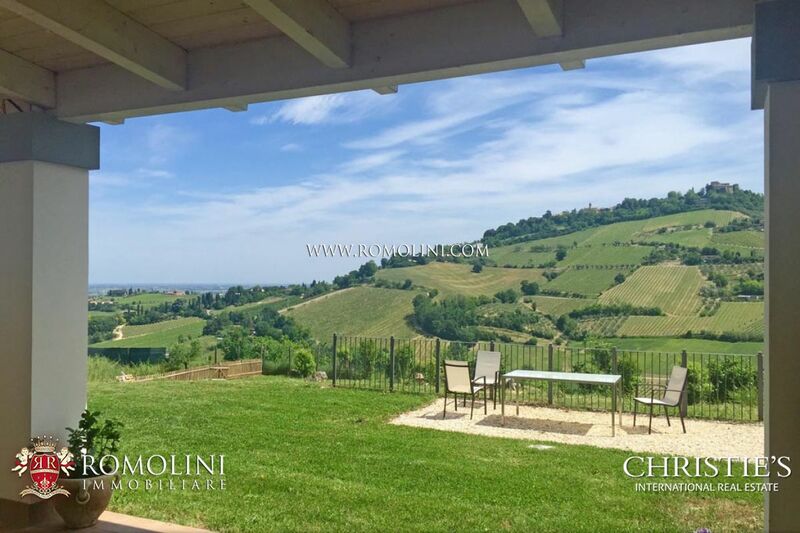 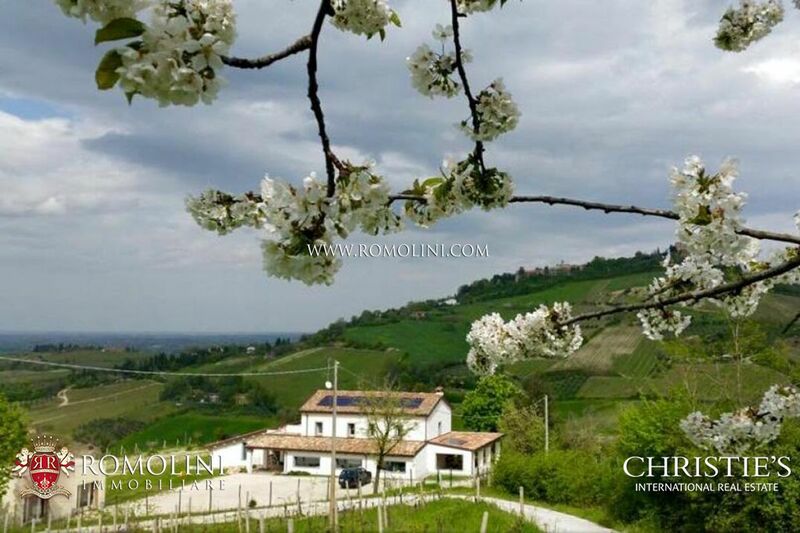 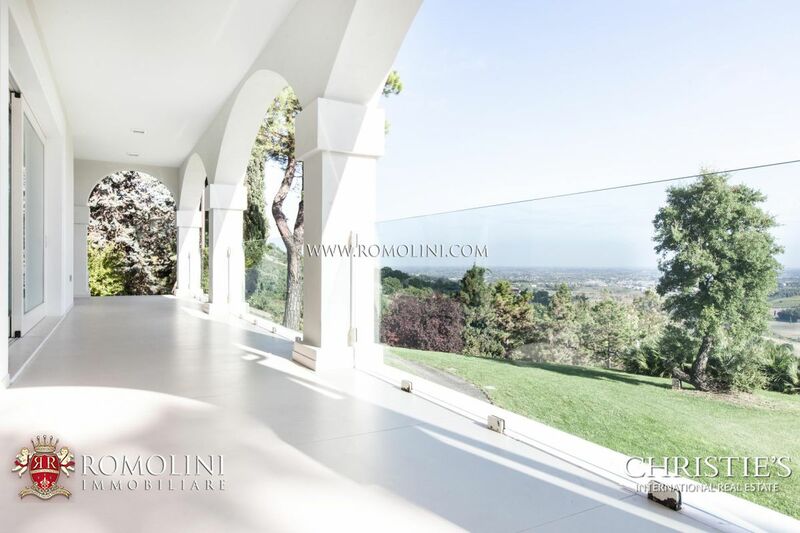 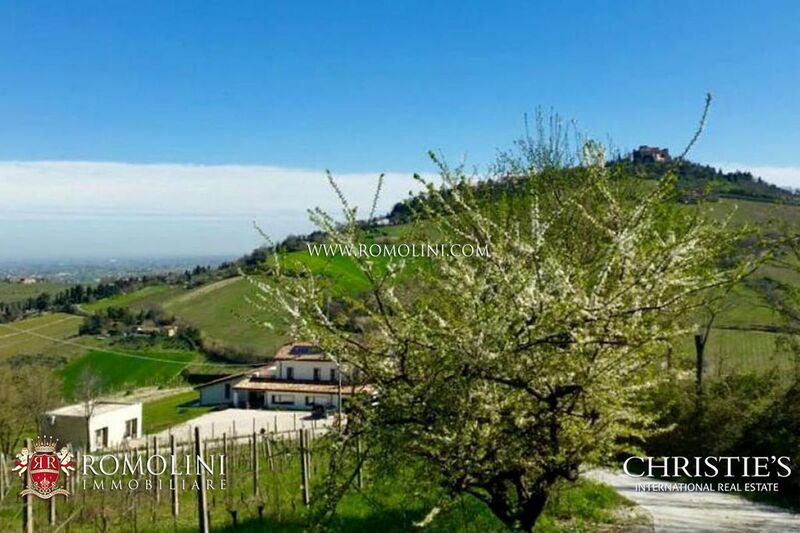 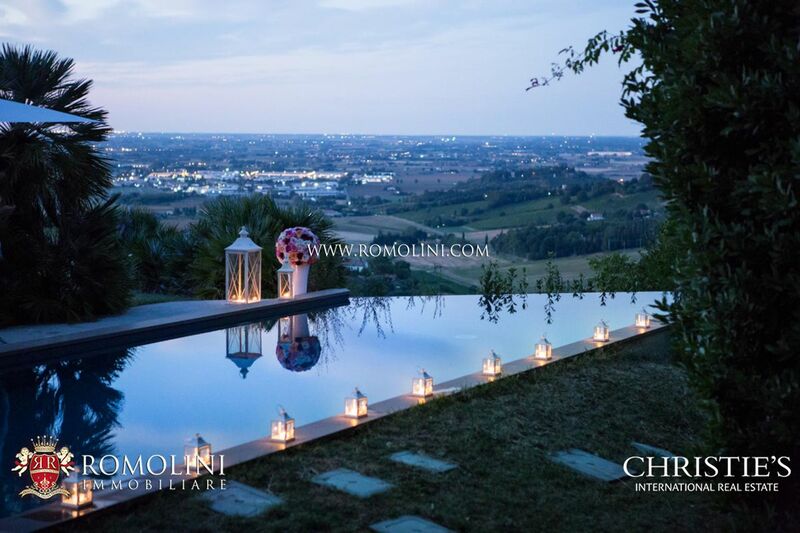 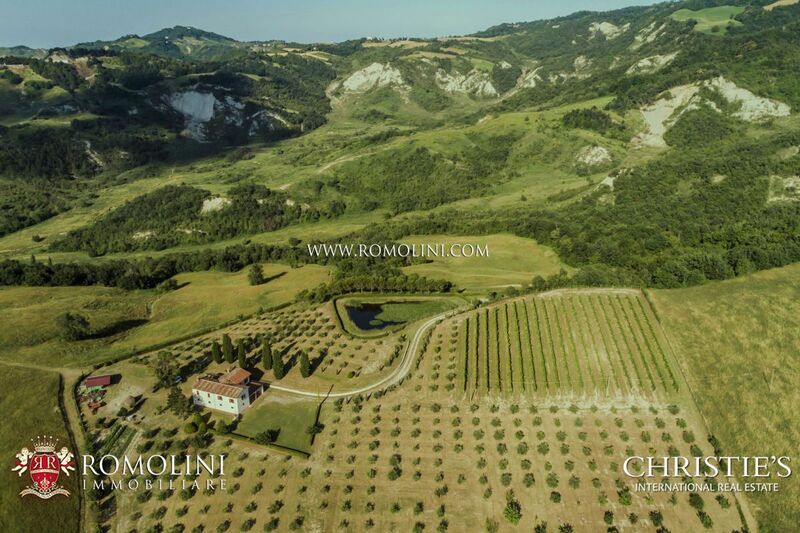 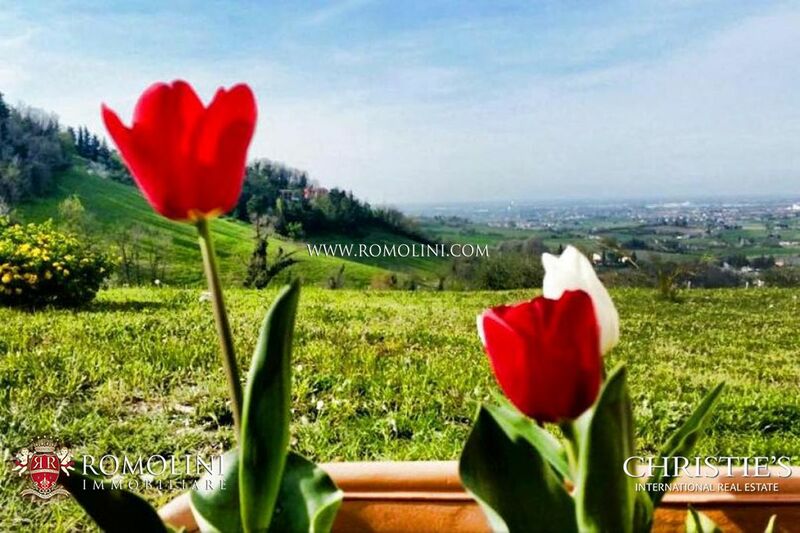 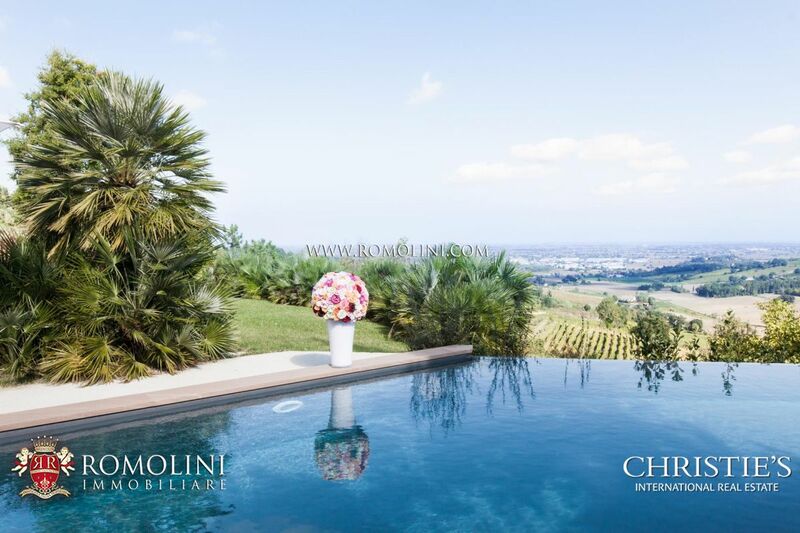 In panoramic position on the hills of Emilia-Romagna, not far from the Adriatic coast, this luxury 400 sqm villa is a real gem. 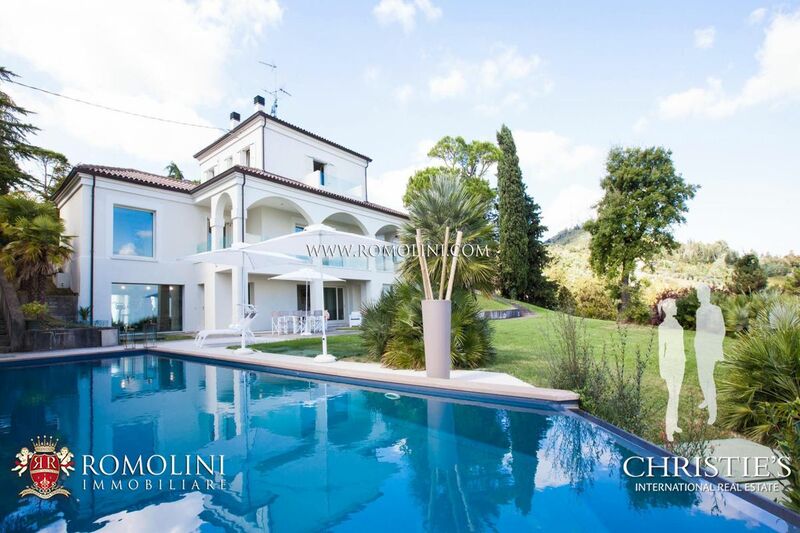 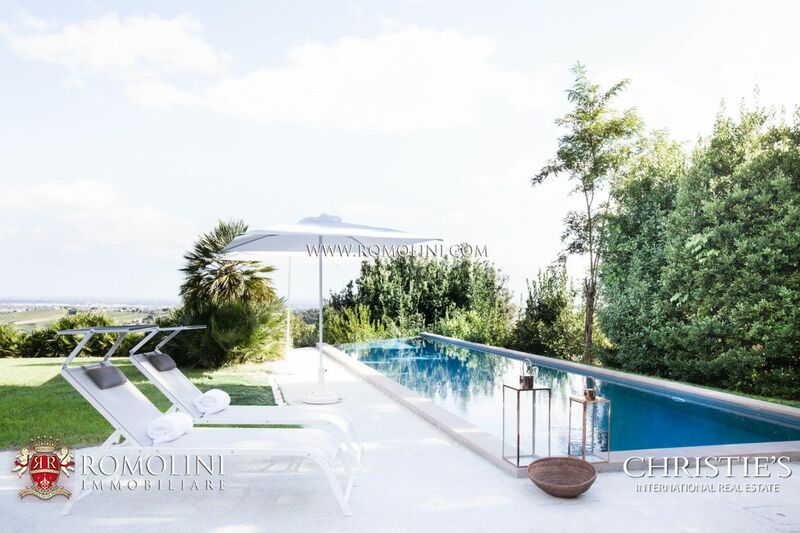 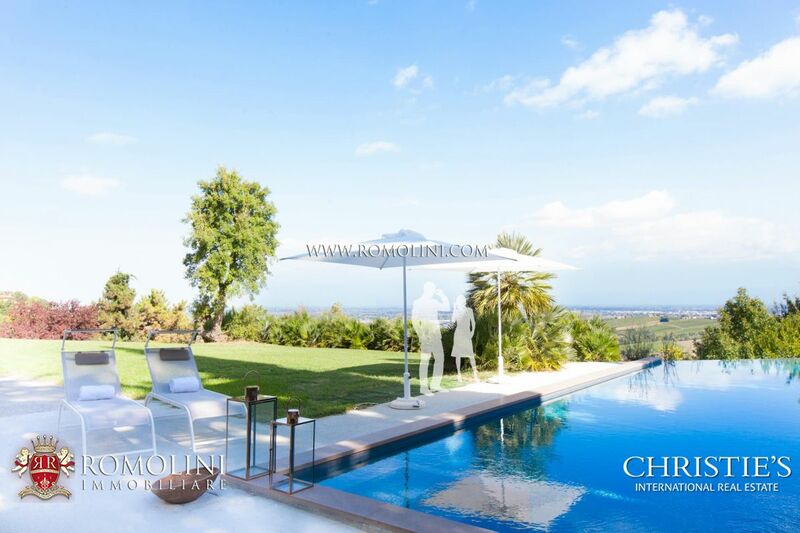 Finely and tastefully restored in 2004, the villa offers up to 4 bedrooms, a 5,000 sqm garden and a beautiful Infinity 15 x 4 m swimming pool with view over the underlying valley and the Adriatic Sea. 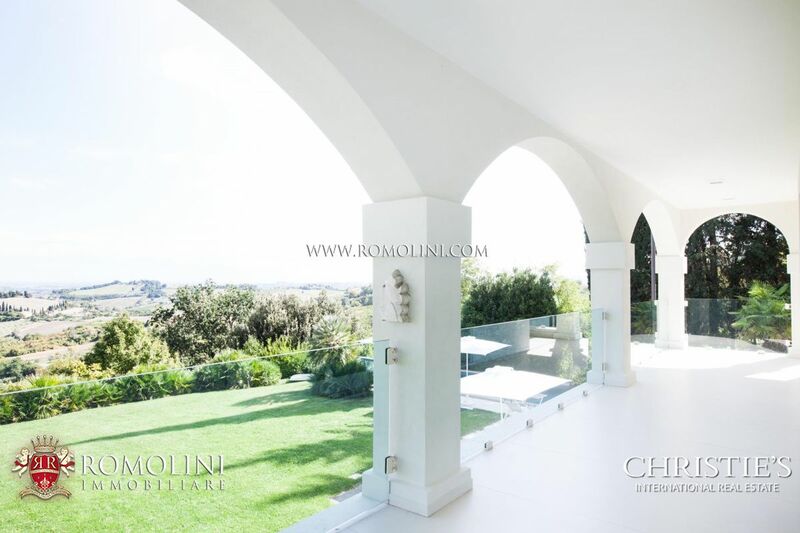 Luxury finishes (both ancient and modern) enriches the building. 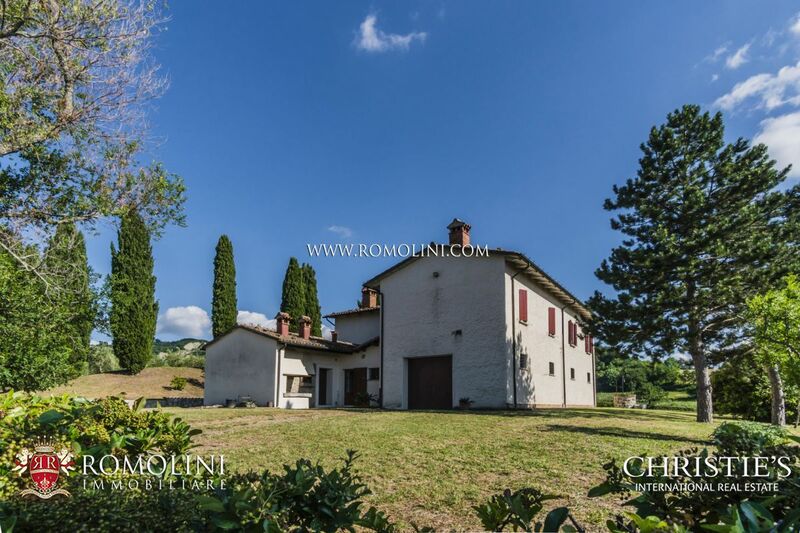 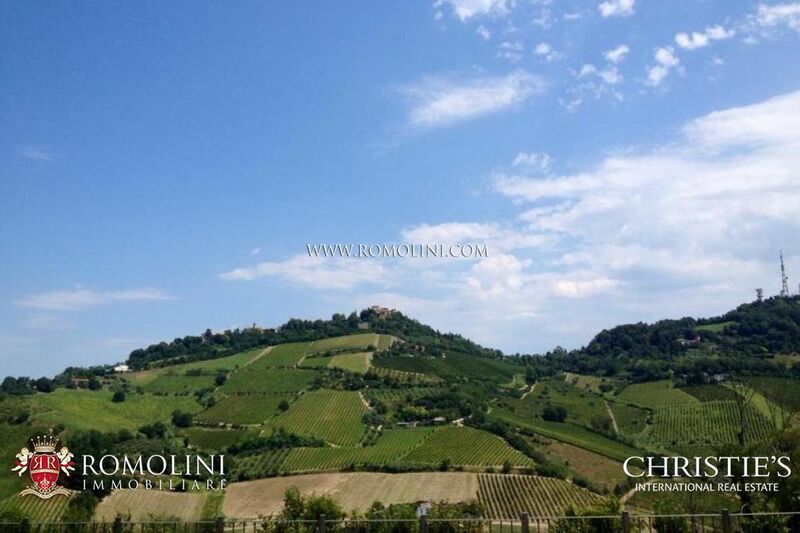 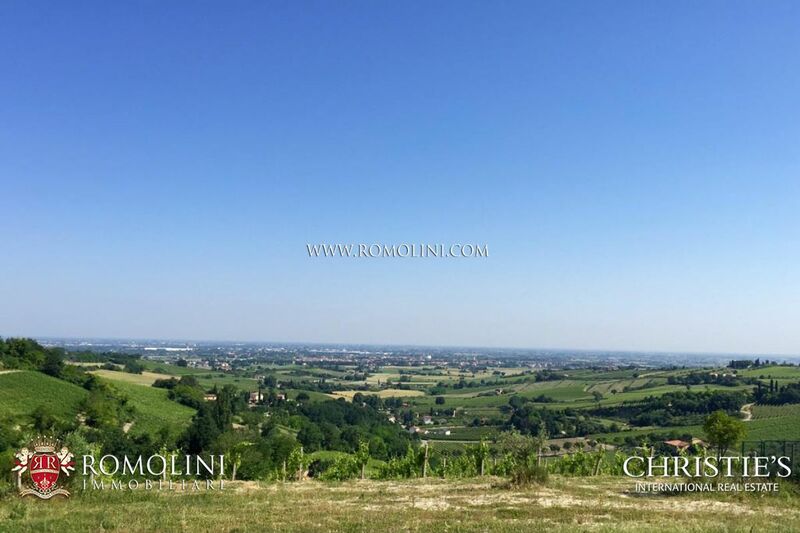 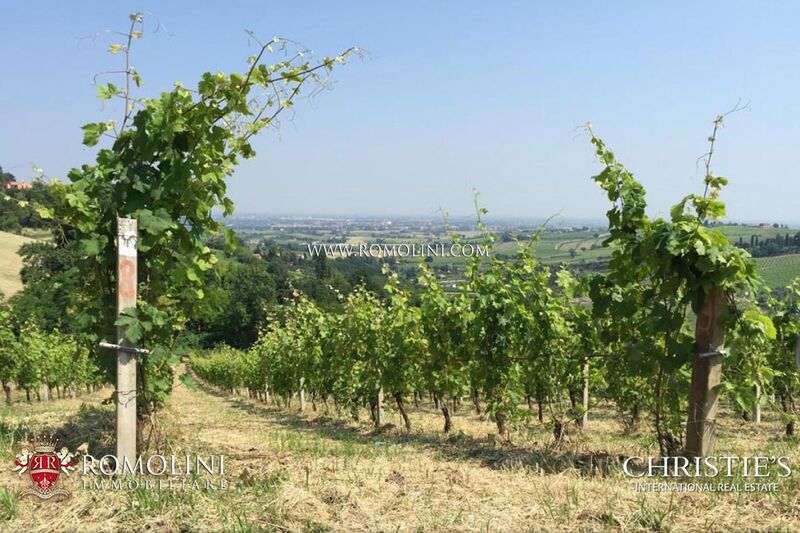 Located in the heart of Romagna, just 6 km from the center of Cesena, in hilly position, wine estate of 14 hectares of vineyards. 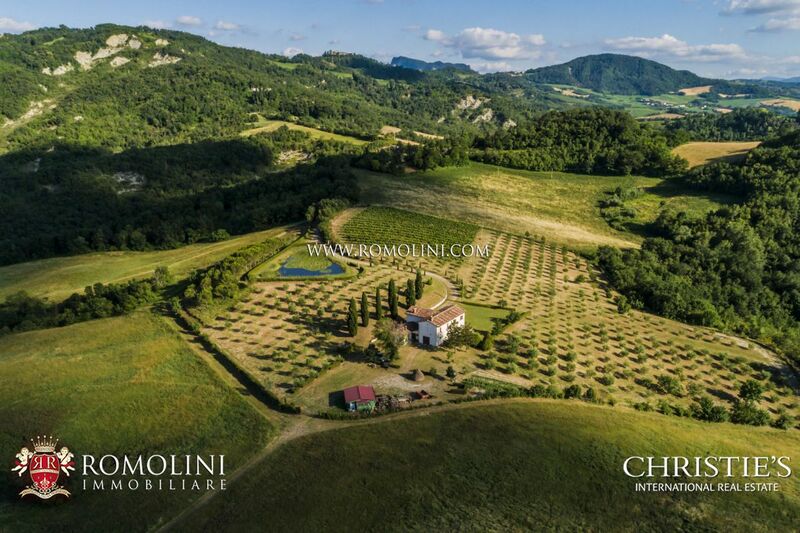 The wine cellar, which was built in 2005, covers an area of 1000 square meters. 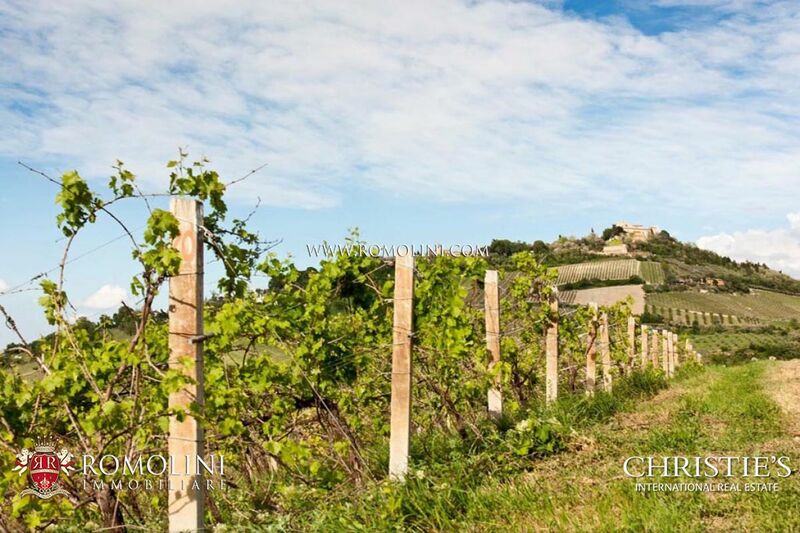 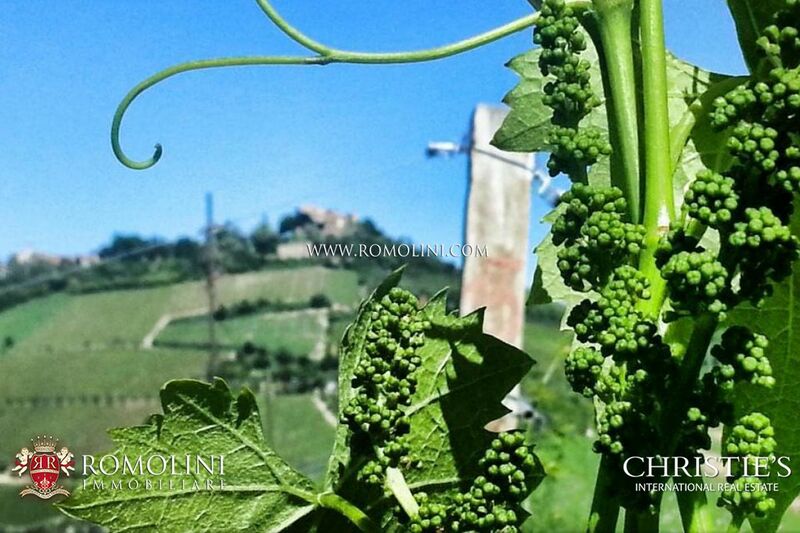 The cultivated wine varieties are the following: Sangiovese, Cabernet, Merlot, Syrah. 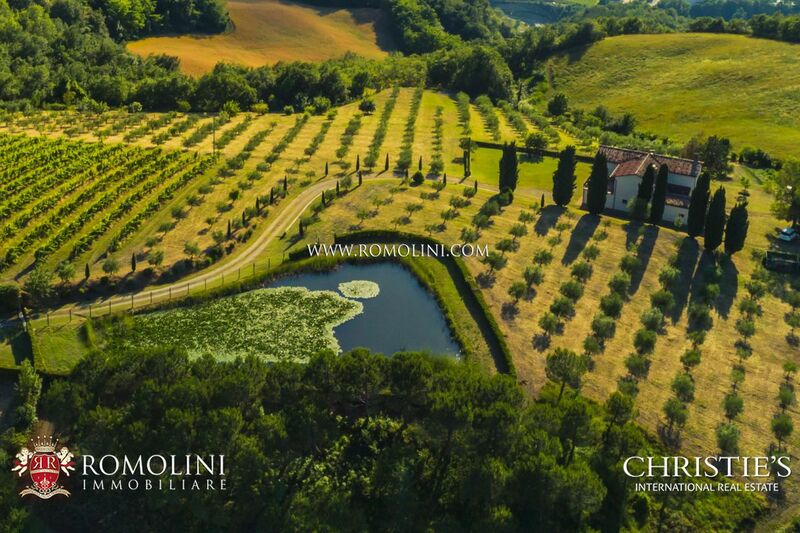 A few hundred bottles of high-quality olive oil are obtained from some native trees.